Happy New Year! I am so grateful for a fresh calendar year on the earth and look forward to applying the growth from 2016 into 2017. This year I wanted to start with a focus on encouragement and equipping the believers for what is to come. So, let’s talk about my renewed passion for prayer and prayer journaling! I love journals! I love the idea of keeping a written log of life events and being able to go back and look at them after time has passed. I love cute journals! I love have journals with girly designs, scriptures, inspirational quotes, and beautiful landscape pictures. With everything I loved about the hobby, I had yet to completely fill the pages of a book, until recently. I started journaling scripture and my passion for this pastime was revived with true diligence over several topics. I’ve started journaling through each book of the bible, which I will discuss next month, and created a prayer notebook/journal to help me pray with power. To hear my tips on praying with power and see some tools I use during my prayer time, check out my recent video. In the Praying with Power video I showed several books and prayer calendars I have found to help focus my prayer time each month. You can download these calendars for FREE via the hyperlinks provided. All books are available from various in-store and online retailers; however, the e-book can be downloaded for free via Amazon. It is truly my hope that this post has encouraged you to reevaluate your prayer life and make a commitment to taking your conversations with God, through Jesus Christ, to another level. As we grow spiritually so should our prayer life and study time. Make time in 2017 to teach your children about the importance of prayer and how to do so powerfully so their petitions will be heard. Now, more than ever, we need to use our weapon of prayer to strengthen each other and give the army of the Lord fortitude to endure until the end. This month I will be focusing on the power of prayer, prayer journaling, bible study, scripture memorization, and journaling through the bible. 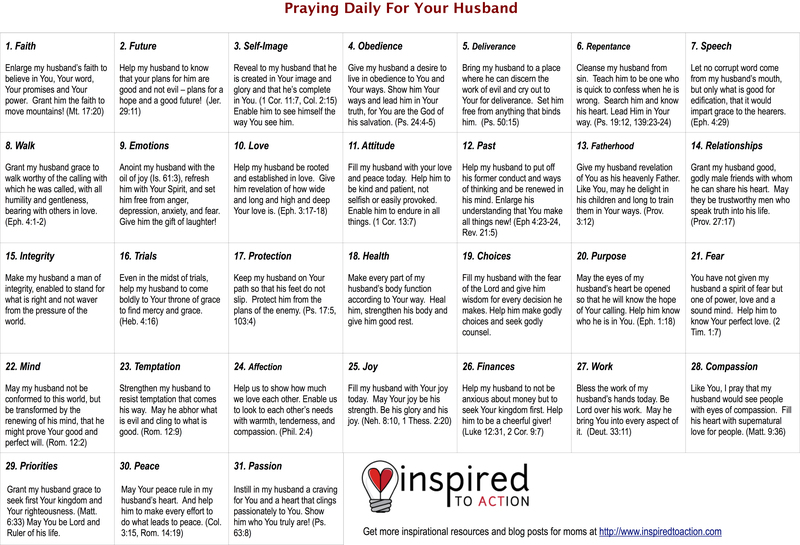 Check back each week for a new POWER POST to equip and encourage every believer.